Interview with anthropologist Jack Hunter on spirit communication in other cultures and the significance it might have for parapsychology. Alex Tsakiris: One [question] is: Does [psychic] ability manifest itself more in some people than in others? And obviously we know it does. But particularly, what I think you bring that I had never thought of, and I think is…interesting to…grind on is: Is it more prevalent in certain cultures? Is it more prevalent in certain social situations with certain combinations of events, people, rituals, practices, all those things. I just think that’s mind blowing. That opens it up in so many different ways. Am I in the right direction, and what are your thoughts on that specifically in terms of what…directions…folks might want to go to find this phenomenon manifesting itself more frequently, more measurably, all the rest of that stuff? How does Anthropology go about trying to capture the essence of human experience/culture? 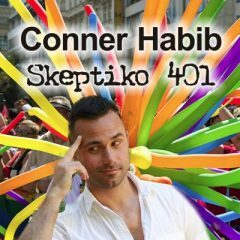 Alex Tsakiris: Today we welcome Jack Hunter to Skeptiko. Jack is a doctoral candidate in the Department of Archaeology and Anthropology at the University of Bristol in the UK. He’s the author of a very, very interesting book called Talking With The Spirits, and you may know him from through his publication, his online journal, that he’s done for several years now which is called Paranthropology. Jack it’s been very interesting diving into your work. 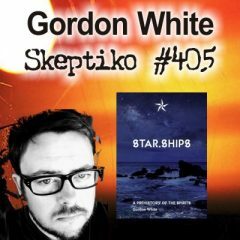 I’ve kind of heard about you for a couple years and I always thought it was such great, great work that you’re doing, and I’m certainly happy to have you on Skeptiko. So thanks for joining me. Jack Hunter: Thank you very much. Alex Tsakiris: You know, as we were just chatting about really briefly there, what I thought we might do is start with some of the basics. First off, a little bit more about your background, about your PhD work there at Bristol, and your work in the Department of Archaeology and Anthropology. And then certainly some background on this very ground-breaking, brave-to-publish journal that you have – Paranthropology. So do you want to kind of kick us off with some background stuff? Jack Hunter: Yeah, OK, so I first really became active in this kind of paranormal stuff when I finished my first university degree out of the University of Bristol. And for my dissertation for that degree I wrote about a group of spirit-mediums in Bristol and really sort of became interested in the kinds of experiences they were having. Then once I finished my degree, I kind of wanted to carry on working with this group and delving into it a little deeper. So I applied to a PhD [program] to look further at it. Fortunately I was given the opportunity to do it, but it’s all been self-funded. I haven’t’ had any major grants. And then the Paranthropology journal kind of came out of that. At the time my supervisor…was setting up this group called the Afterlife Research Center based at Bristol. And the group was specifically concerned with thinking about the after-life in the cross-cultural context. So looking at afterlife beliefs in different cultures, and it there was quite a heavy emphasis on spirit-mediumship and shamanism. And at one of the meetings of the Afterlife Research Center, we started to talk about the need for a journal in the UK that dealt with these kinds of issues. I mean, in the U.S. is the journal of the Society for the Anthropology of Consciousness, which deals with similar things. But there’s not much in the UK. So I just thought I’d go ahead and do it. Alex Tsakiris: Great…you know the other thing I wanted to kind of use as a starting point is tell us about Anthropology…I guess we all know it as we kind of walk through the museum, and we say “Oh this is Anthropology, this is what anthropologists do.” But in talking to a couple of anthropologists I get the sense that I’m not really connected with, I guess, the mindset. Because I think there’s a very cool, progressive…expansive mindset, at least amongst some anthropologists. I guess not all. But…what is it really about? What do you guys do? What is the fieldwork like? What is the science behind it? And what is the scientific status of it within the University? 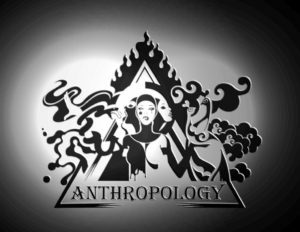 What do other people think about Anthropology? Jack Hunter: OK, well, very basically Anthropology is the study of human-beings. So I take that in quite a broad way. And obviously all of my research into the paranormal and things like that comes under the banner of human life, because humans do these things regardless of whether these things are real or not. So, for an anthropologist, studying human-beings, there’s specific ways that they do it. And the chief methodology that they use is Ethnography; which is basically going into the field, living with people, and trying to immerse yourself in their life as deeply as possible. Then writing it, and then from that deducing the impact, [and] grander theories, that can be applied more broadly to human culture. That’s kind of Anthropology in a nutshell. 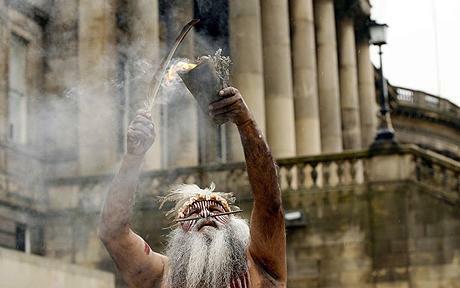 For me though my fieldwork has been based with this group of spirit-mediums in an urban context. So you hear about anthropologists going off to Africa or the Middle East, or anywhere in the world basically. But you can also do Anthropology at home, and that’s kind of what I’ve done. And the interesting thing about spirit-mediumship is that Anthropology has had a really long history of investigating spirit-mediums, going right back to the very early days of the discipline. But it’s always been…far-off distant lands, and very little research has been done on spirit-mediums…within the Western context. It’s almost as though Anthropology hasn’t really wanted to face up to the fact that these things aren’t just out there — they’re also at home as well. So my research…tries to do that a little bit. Alex Tsakiris: How does that sit with the rest of the college there? The rest of the disciplines? I mean, how do they view Anthropology? Kind of like these quirky guys who are OK as long as they stay out there with the aborigines and the others…but what is it like? Especially when you bring it back home like that. Jack Hunter: Well…I haven’t had any negative experiences with it…in terms of my involvement in the department; I’m not really there very often. I live in Wales which is quite a ways away from Bristol. Alex Tsakiris: But I do sense, and again I’m just kind of wading into the waters here so I might be totally off base, but…some of the stuff that comes through from even…more mainstream Anthropology does seem to kind of bump up against some sacred cows; just in terms of experience for example. In one of your essays that I found on your very nicely done website at academia.edu, you mention taking experience seriously. What are the consequences? And it’s one of those little parts of this whole thing that on one hand seems so basic. I think…if you just [asked] the kind of man on the street this: What are the consequences of taking experience seriously? And that being this kind of deep philosophy of science kinda question that we really have to wrestle with, I think people would just be stunned. What do you mean we have to take experience seriously? Of course we take experience seriously (laughing). Jack Hunter: Yeah. Well what I mean by taking experience seriously is in Anthropology, anthropologists going out into the field always come up against these, or come across these people who have completely disparate kinds of experiences to what the anthropologist is used to. And anthropologists have traditionally written about these experiences, but in a kind of…dismissive way. So for instance, experiences of spirit-mediumship…they might be mentioned, but they won’t be delved into. It’s not like they want to find out what these experiences actually are. They can see that people do have experiences that are unusual for instance. But they’re not genuinely willing to take that extra step and analyze the experience in itself…kind of taking a deep phenomological approach to experience…that’s something I’m particularly interested in, because when you…come across these strange experiences of mediumship and all the kinds of shamanism and out-of-body experiences and stuff, those experiences seem to suggest something that the dominant worldview of our own culture is…dismissive of and kind-of ignores. So yeah, I think taking those experiences seriously is an important step for Anthropology. Alex Tsakiris: It’s a huge step because really when you talk about our culture, you’re talking about science-as-we-know-it. You’re talking about the established scientific paradigm that is pervasive throughout every University, and that [says] we should not take these experiences seriously. Particularly when they go into these areas that you’re talking about that contradict this idea of consciousness being this product of the brain that we can measure very precisely and all the rest of that. I guess what I’m saying is it seems to me Anthropology is open in some ways because, just being progressive in nature, it’s kind of moved away from…that outdated idea that we can all look at, and say “Gee, of course, we have to be more accepting of other cultures.” We’ve seen that throughout history, the whole cultural bias that we can place in terms of saying “The Primitives”…these primitive people, with primitive ideas. And I think Anthropology is a discipline that’s…helped us rise above that and see [in] a more culturally inclusive way that we can’t do that. And I think your work is just a natural extension of that. That’s what I get the sense of, that Anthropology is in…a unique position to be more receptive to jumping the chasm and saying, well, if I’m taking these other experiences of their culture, of their society seriously, well then of course I should consider taking these paranormal experiences seriously. At least from an experiential basis; from the fact they said they’ve had it. Am I wrong there? Is Anthropology maybe in a better position to explore some of [these anomalies], than let’s say neuroscience is, because they’re [not] totally wed to this idea that mind-equals-brain? Jack Hunter: Yeah I really think that is the case. 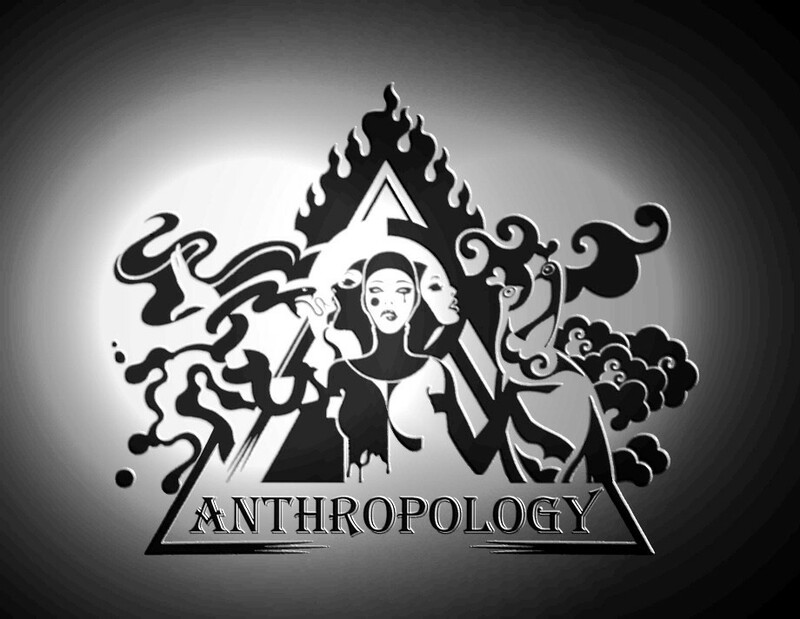 Anthropology because of its very nature as a discipline that’s involved with real-life human-beings who have real-life experiences, we have to be open to those aspects of other peoples’ whole worldview. There’s no way we can escape from having to deal with it. Which is what anthropologists have tended [to] try and do…not worry about what the implications of those kinds of experiences actually are. So yeah, I think that’s what my work is really an extension of that idea; towards taking these experiences that people have seriously and not dismissing them. How can one suspend bias/prejudice when faced with the “unbelievable”? Alex Tsakiris: Tell us some more about your work specifically — your field work with your medium group there in the UK. Because I think people find it fascinating – the actual nuts and bolts and what you’ve discovered and some of the experiences you’ve shared in doing that work. 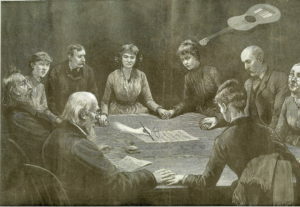 Jack Hunter: …well the group I’ve been working with was founded, I think, in about 2006 by a lady who had been invited to attend a physical mediumship séance, which [evoke] ectoplasm and all those kinds of things – floating objects and stuff. And she basically had her mind blown by the experience. When she got home she decided that she wanted to…in a scientific way…delve into this a little bit deeper, and try to find out what exactly it was that she experienced in the séance room. So to do this she decided she would set up her own spirit-lodge essentially and invite people in who would go on to develop as mediums…basically, take things into her own hands and develop the mediums herself from scratch, and record all of her experiences and their experiences along the way. So when I came to write my dissertation, my undergraduate dissertation [for my] undergraduate degree, I was…interested in the reasons why people believe in spirits. Just out of my own interest. And I wanted to find some way of exploring that idea through Ethnography. And I visited a few spiritualist churches and things like that, but I wasn’t…able to really get the kind of deep participation I wanted to get into. I don’t know why that is, I think it might be because these spiritualist churches have got a constantly fluctuating attendance…if I didn’t turn up the next day it didn’t really matter because that’s just what people do in those kinds of churches. Alex Tsakiris: Yeah, absolutely. So as an anthropologist you’re walking into this séance. What are you thinking and specifically what methodologies, what tools, how are you thinking you’re going to approach this as an anthropologist? And then, if you could…you said this sort of shattered your preconceived ideas about mediumship. It sounds like it might shattered some of your preconceived about reality and consciousness as well. How do you deal with that given your discipline? Alex Tsakiris: Right, but how do you do that? I mean, that’s impossible, right? So you’re trying to hold to that, but how does that really play out? Alex Tsakiris: When I say it’s impossible, it’s impossible because…we know from psychology basics we see what we are conditioned to see. So I mean I think it’s important, I’m not trying to challenge you on this, I think it’s an important discipline and to be trained and try and pull back your biases like a police detective or something like that. But we can’t totally distance ourselves from our past and our conditioning and all the rest…What happens when your whole world is turned upside down when you see something that’s totally outside your belief system? You’re the perfect guy to do it, because you’ve been trained to do it, but it still has to be somewhat of a trippy experience. Jack Hunter: Yeah, it is a strange experience…the whole process is kind of like an active process. It’s not like you go in there passive and you just let it all wash over you. If you see something that for instance might not believe, whatever that means, like seeing something levitate in the room and you don’t believe it. You’ve got to actively try to kind of suppress your disbelief, and just go with the flow of what’s happening. And then with Ethnography, what you do at the end is you write it all up. Then you can kind of explore some of the ideas. You can explore the way the people who were involved in it experienced it. And also, how you yourself experienced it. But do that afterwards. When you’re there, you should be as…engaged as you possibly can. And yes, suspending your disbelief. That’s definitely what I did anyway. My supervisor came up with this interesting methodology. She calls it cognitive empathetic engagement…basically you have to read her papers to really get the full grounded picture of what she means…but it is this kind of trying to see the world as other people see it. So, not dismissing it, not ignoring these aspects of experience. And trying to understand how those kinds of experience then go on to influence the worldview of the people who you’re studying. I think basically that’s what my research has done, or has tried to do overall. Can the incorporation of time-tested, cross-cultural ritual, help make parapsychological phenomenon more robust? Jack Hunter: It does matter, yeah. I think that was one of the strange things about my kind of perspective on it. Because on the one hand I am very interested in whether it’s real or not, and that’s where my interest [in] parapsychology comes into all of this. Then the other end of the spectrum is my kind of social science side of myself that’s more interested in how the people experience and incorporate these experiences into their lives and those kinds of things. But one of the things I wanted to do with Paranthropology the journal was to make a space where both anthropologists and parapsychologists could come together and sort of share ideas on what’s going on in these kinda situations…there are anthropologists who have done parapsychological experiments in the field as well, which is quite an interesting area. An anthropologist [named] Patrick Geisler for instance has done work with PK experiments in the field in the Amazon with some positive results as well. But that kind of crossover is what I’m really interested in. Alex Tsakiris: Indeed. And Jack, you have some really interesting thoughts in terms of how maybe how parapsychology could move forward quicker, better, by incorporating in some of the sensibility that you’ve gained through this kind of anthropological approach to these phenomenon. Do you want to…expound on that? Jack Hunter: Yeah. I think what I’ve written about previously is the way that parapsychological experiments take these experiences…people have generally spontaneous experiences, and [parapsychologists] have tried to reduce them down to phenomenon that are really easy to investigate in the lab. Obviously it’s an important thing to do, because that’s how you get solid proof of things. But, through looking at the sort of social processes that are involved in these kinds of experiences, which is what anthropologists do, parapsychologists could for instance…learn ways of making their experiments more true to real life. Does that make sense? Do you know what I mean? Alex Tsakiris: Actually I think there’s two interesting ways to pull that apart. One is what I’ve heard from parapsychologists, in particular I remember Dean Radin saying this, which I thought was very appropriate…he’s a super smart guy and I respect him a lot. But he said, look…one of the benefits you get in bringing it into the lab is understanding the nature of the phenomenon in terms of whether it’s an innate quality, an innate ability in humans, or whether it is particular to certain human-beings or certain cultures and all the rest of that. And that’s an important question, and the only way you can answer that is through that. But I think what you’re pointing out, and I totally agree with, is that…once you answer that question, you check that check-box, then you might want to circle back around and [raise] a couple other questions. One is, does this ability manifest itself more in some people than in others? And obviously we know it does. But particularly what I think you bring that I had never thought of, and I think is an interesting to…grind on is, is it more prevalent in certain cultures? Is it more prevalent in certain social situations with certain combinations of events, people, rituals, practices, all those things. I just think that’s mind blowing. That opens it up in so many different ways. Am I in the right direction, and what are your thoughts on that specifically in terms of what might be the directions that folks might want to go to find this phenomenon manifesting itself more frequently, more measurably, all the rest of that stuff. Jack Hunter: That’s exactly what I’m talking about…when you look at the anthropological literature, all the ethnographic literature, and look at the kinds of experiences that people have reported to anthropologist in the field all over the world, you find these kinds of common characteristics. For instance, like you said, ritual is…an important process for people to go through in order to have these sorts of experiences. And I think that the parapsychological community has missed out on that. They could for instance use ritualized procedures in laboratory. That’s one example. Or take the laboratory out to the rituals. The only problem is trying to maintain the kind of natural quality that a real ritual would have. Those are the kinds of areas that I think that more research needs to be done. Like what is actually, parapsychologically speaking, going on in rituals. Is PK being used? All of those kinds of questions. 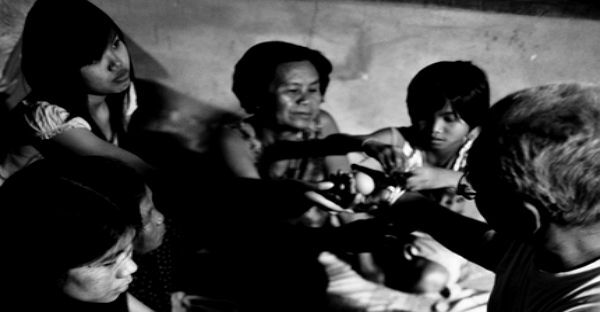 But, the other useful thing about the Anthropological and Ethnographic approach is seeing the kind of social processes that give rise to paranormal experiences. So what kind of social and cultural prerequisites are there for the manifestation of…robust parapsychological phenomenon. Alex Tsakiris: Fascinating. What are your…intuitive hunches in terms of what we might find out if we go down those paths? Jack Hunter: …I think the obvious will be found (laughing). That rituals have evolved or developed over thousands of years because they are efficacious, or possibly efficacious. So rituals, for instance divination, have developed because they do actually work. So it’d be interesting to do parapsychological experiments on these traditional divination rituals to find out if it’s the same kind of phenomenon that seems to be occurring in parapsychological experiments in the lab — to find out if it is that they’re tapping into. I think that’s something an anthropologist named Michael Winkelman was getting at in an article he published…I think in 1982, in which he basically challenged anthropologists to take seriously the evidence from Parapsychology which suggests there is some kind of psi process going on. To think about what that kind of data implies for the sort-of anthropological theorizing on magic. Alex Tsakiris: How about what that data implies for Parapsychology or just science? We can’t really go there because science totally ignores all this stuff. But, what does it mean in terms of what’s really going on…I guess I could jump in two different directions. 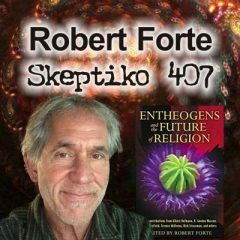 I could see some sort of Morphic Field, Rupert Sheldrake, kind-of thing where repeating a pattern or repeating a ritual somehow creates some kind of synergy with an existing field that then makes something more possible. Or I could see something on a…more extended human consciousness….there being other dimensions of consciousness that we can only even speculate about. Having some order in some reality that we have to tap into in some different ways to make these things happen. Do you care to even speculate in terms of what direction this could possibly take us? Jack Hunter: That’s a tough question, that one. For me personally, I think it’s too early to really come up with any kind of solid, definitive model of what’s going on. But I do think that whatever it is that’s going on, it’s going to be way more complicated than we’re even aware of at the moment. It seems as though from parapsychological experiments there is some sort of psi-phenomenon. Some kind of processes that human-beings can tap into. But as for the wider kind of cosmic scale, I really don’t know. But it’s probably going to be very weird. In order for science to successfully incorporate/integrate parapsychological phenomenon, a paradigm shift appears necessary. Alex Tsakiris: “Probably going to be very weird,” (laughing)…I bet you’re right. But how do you balance the speaking to and within the existing paradigm, which we have to be kind of careful to honor and respect because it is the dominant paradigm. I don’t have to, but you have to (laughing), because you’re a senior PhD. You’re trying to succeed in an academic world that has certain constructs. I mean, where do you draw the line? I noticed in one of your papers you’re agnostic regarding the mind-brain identity theory; mind-equals-brain as we [refer to] it. I don’t believe for a second that you’re agnostic about it, but I think you have to maintain that you’re agnostic about it. I mean can we really go forward within the existing paradigm? Playing this little game over this little side game over here, hoping no one notices, but at the same time wanting everyone to notice. How do we play out that dynamic? Jack Hunter: It’s again, another very tricky question. The paradigm that we’ve got at the moment, basically, either it needs to be completely overhauled and replaced, or it needs some kind of expansion; like an expansion pack added on to it. But I’m not sure how with this current paradigm we really can move on. There’s going to have to be some kind of change. Either that or we all just give up researching this stuff (laughing), but I don’t think that’s going to happen. Jack Hunter: No, it shouldn’t happen. It’s interesting actually, the next issue of Paranthropology which should be coming out at the end of this month, has been guest-edited by Dr. Mark Schroll. And he’s given the issue a title of “Hypotheses in Search of Paradigm”, and I think probably you’ll find that issue particularly interesting. It’s got lots of contributions from Stanley Krippner in it. But yeah, I think that kind of sums up the situation at the moment. We’ve got all these hypotheses about psi and things like that, but there’s no paradigm to kind of tie it all together. So yeah, we definitely need some kind of new paradigm I think. 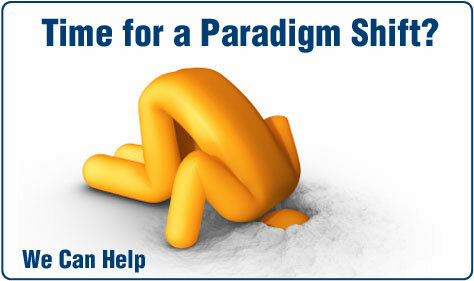 But what that new paradigm is I don’t know. Alex Tsakiris: OK Jack, while we have you here tell folks a little bit more about your book Talking With The Spirits, because to be honest with you I hadn’t really discovered it until a couple days ago, so I haven’t had a chance to read it. I’ve just dipped into it. I heard really fascinating interview you gave about the book. It sounds really, really interesting. Tell folks a little bit about what they’re going to find if they pick that up? Jack Hunter: OK. 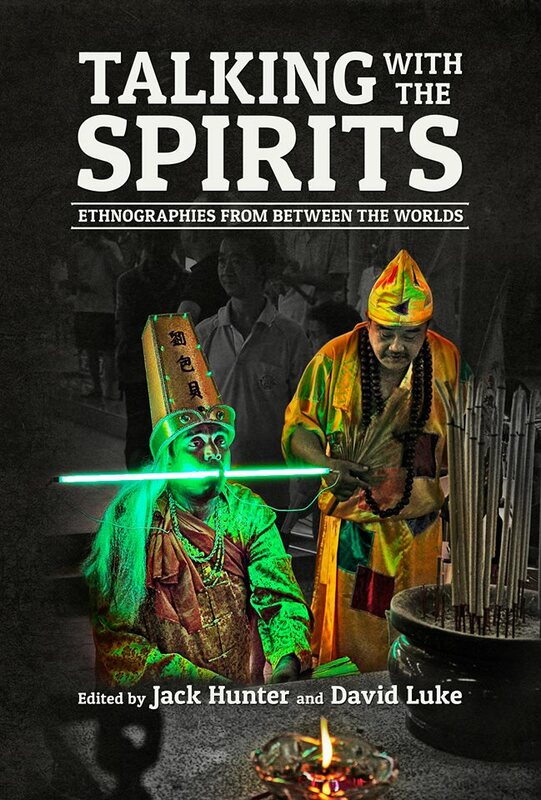 The book is called Talking with the Spirits: Ethnographies from Between the Worlds. Basically it’s a cross-cultural survey of spirit-mediumship and spirit-possession practices around the world. It’s got twelve different chapters from various different cultural contexts. So the first chapter for instance is a more general overview on the role of skepticism in ethnography. Then we’ve got a few chapters on mediumship in the Western context. So stuff on mediumship in Great Britain and Montreal in Canada. Even stuff on mediumship on the internet and cyber-psychics. Then it goes on to discuss spirit-possession in East Africa. Then off into Cuba [and] Brazil, where mediumship is massive, and then finally it goes over to Asia where Charles Emmons looks at spirit-mediums in Hong Kong. And another anthropologist Fabian Grey looked at mediumship in Singapore and Taiwan. So it’s’ got quite a bit of stuff in there. And I think one of the main aims of the book was to show that mediumship isn’t just what we see in the Western context. 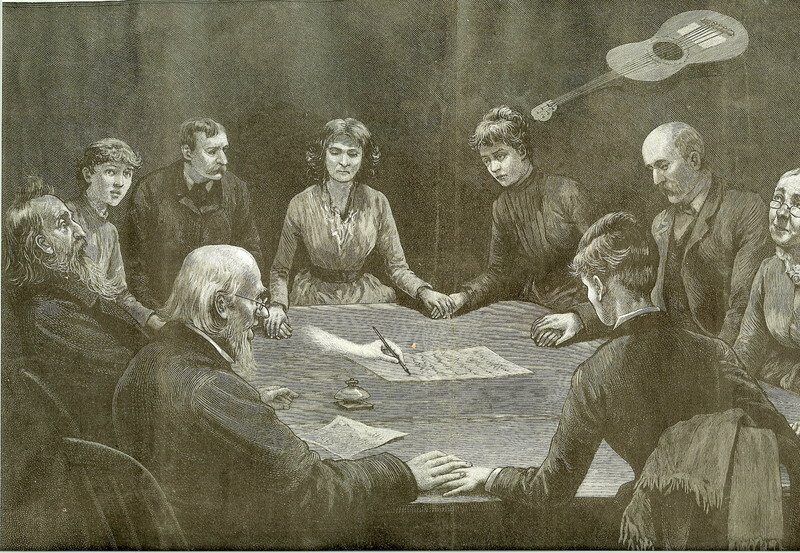 There’s a lot more to mediumship than ectoplasm and table-tipping and platform mediums. It’s a really broad, almost near universal human phenomenon. Alex Tsakiris: And what do you make of that diversity? I guess that gets right back to the huge question we were talking about, that we can’t really fully penetrate but just at the most basic level what’s your biggest take away from the broad diversity of these experiences that all fit pretty nicely within the context of what we think about in terms of mediumship. Jack Hunter: The broad take away message I think is that there seems to be something going on (laughing). There’s something that human-beings are kind of tapping into, or at least trying to tap into. Which suggests, again…there’s something going on. I don’t know what that something ultimately will be, but…people have been doing as far back as you care to look. And as far abroad as you care to look as well; even right here now in my own back gardens and garden sheds. It’s all there, it’s all happening. Very interesting. Alex Tsakiris: Just to underline a point that you made earlier about going in your own backyard, I think if there maybe is a blind-spot traditionally in Anthropology its to see the “Others” as being somehow different than we are, and I think that’s been a specific aim of your work to kind of take a different perspective. Is that correct? Jack Hunter: Yeah, that’s correct. Alex Tsakiris: And I guess I’d just like to add one more thing to what you said. It’s happening I guess is one of the takeaways. And maybe another takeaway is anyone who attempts to pin it down and say, “It’s this. It’s happening because it’s this. Because it’s Satan through the Bible as described in verse, chapter, this.” That doesn’t really fit. Or people who want to say it’s some kind of New Age consciousness-changing, UFO-related – not to put down UFO’s – [but] it’s very difficult to say it’s this. It’s difficult to say it’s not this, but it’s also difficult to say it is this, right? Jack Hunter: Yes, it is. That’s one of the things, again, why I think that anthropologists taking note of what’s been going on in Parapsychology and the study of mediums for the last 130 years is so important. Because over and over again anthropologists come to the conclusion that spirit-mediumship, either it serves a purely social function…or it’s a product of cognitive misfiring in the brain, or whatever. But none of these grand models that they come up with really actually, when you look at it and how it’s played out in the field, actually explains what’s going on. And parapsychology has taken that bold step of tackling the ontological questions about what’s really real. And I think that’s an interesting avenue for anthropology to explore. Because it’s got huge implications for the rest of science…and the dominant paradigm, as you said. 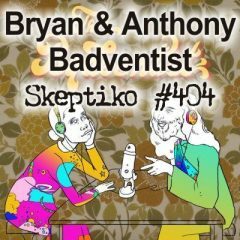 Your participation helps make Skeptiko better. 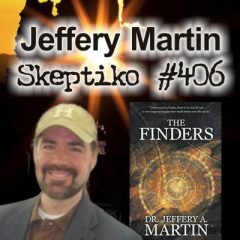 Alex Tsakiris: Thanks again to Jack Hunter for joining me today on Skeptiko; couple of quick notes. One, I wanted to mention a little bit about Skeptiko 3.0 which is a concept that I floated out there a few episodes ago, and it has to do with how the show might be going forward. One of the things that has kinda come out of that that I really like and I really think we can build on is this idea of doing follow-up interviews and building that into the process. 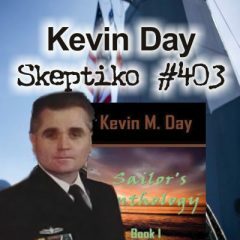 So, what I’m doing for a couple of shows that we’re working on right now is I’m doing the interview, then I’m previewing the interview to some Skeptiko listeners who expressed an interest in the interview. And they’ve expressed that interest by going to the forum, and when I announce an upcoming interview, then they’re in there saying “Hey here are some of the questions, here’s some of the other work this person has done, here’s where I think this interview might need to go.” So I’m trying to post those forum entries for upcoming interviews on a pretty regular basis. So if you’re into the forum you might want to check for those. And then, if you have some good comments there I’m gonna invite you to listen to a pre-release of the interview, right after I record it. Then we can engage in a dialogue about what should be the follow-on questions, because I think the follow-on questions, as I’ve mentioned so many times on this show, are really where the work gets done in terms of changing thinking on my part or maybe expanding the thinking of my guests if I can be so bold as to say that. But that’s where some of the fun stuff really happens. If you’d like to be part of that process, please pop on over to the forum and join the discussion over there, and I think as I just laid out, you can get into that and it’ll be great. 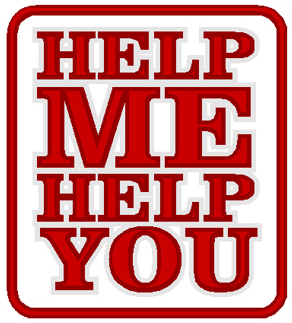 You’ll be helping me, and hopefully you’ll be more engaged in the topics so that you can get more out of them – which is always my hope and intent. So check that out if you’re interested. The second thing I wanted to mention, and this also has been kind of going on in the Skeptiko forum, and it’s again something I mentioned in a previous show, I really tried to reach out with my old friends in the skeptic and atheist community. Now I don’t want to push this too far, I don’t want to make anyone super uncomfortable, but for a long time I’ve had this anytime, anywhere challenge out there to engage, to dialogue. It doesn’t have to be a debate, but it sometimes evolves into a debate. But it just strikes me as stunning that all the prominent people in the “skeptical community” are unwilling to engage in critical discussions about science. I mean come on, the points that I would make are science points. They’re all right there in the book. They have to do with the nature of consciousness, near-death experience, all the other stuff that we talk about on this show; the link of spirituality and consciousness. How can these be topics that these folks are not willing to engage in; and yet they’re not. And it really re-confirms what I’ve stated many times that I’ve discovered that these folks are exactly like the Christians that they so rail against. Who just want to be left alone, to believe what they want, and not be challenged on their beliefs. Well I guess that’s well enough, that’s not the way I like to operate. Not when you’re publically out there proclaiming yourself to be a critical thinker. Proclaiming that you’re willing to carefully analyze the evidence and come to the best conclusion possible. I mean, there’s a huge contradiction there. 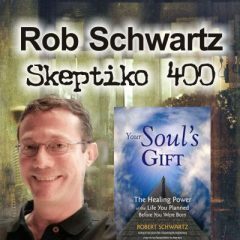 So on my process of reaching out and trying to create that dialogue, I’ve also asked Skeptiko listeners to reach out and do that. So if you’re connected to anyone who has a blog, a prominent blog, or prominent podcast, or is a writer and is skeptical or atheist – they go hand-in-hand…please invite them to dialogue, to engage. And I don’t care where it’s done. It can be done on the Skeptiko platform, it can be done on their platform, I don’t care about the format. It can be a structured debate where each person has an allotted time. It can be a free-flow discussion. I’m really a pretty easy guy to talk to, as you know from listening to these shows. I mean I’m not gonna shout someone down, so if there’s anyone out there who can help facilitate that, and help make that happen, I think that’d be great. I’d love to do it, and I think it’d make for good Skeptiko listening. So then – finally onto a question to tee up from this episode. And what came to mind for me was an extension of a question that we’ve asked previously, and that is: What about this experience thing? Does experience matter? Obviously I think it does, and I think that’s one of the real blind-spots of science is that they’ve really danced around, and for the most part ignored, the whole idea of experience. So the extension of that, that Jack Hunter so beautifully transitions to in this interview and in his work is what does experience mean from a social standpoint? What is the experience of culture, and how does that matter? What is the experience of ritual? Even in this small group that has this ritual, what is that collective experiencing and how might that matter? So, I think it does two things. One it opens up a whole bunch of questions about that, and about how ritual might matter, and how culture might matter. But it also, I think, further highlights this blind-spot that experience has to be able to be able to be brought back to the equation, and can’t be written off as an illusion – just something that’s happening inside the brain and doesn’t really matter scientifically. So that’s the question I’d tee-up. 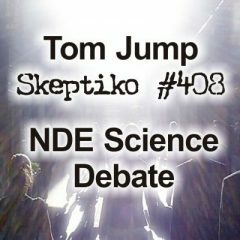 Of course the place to respond is either through the Skeptiko forum, at Skeptiko-forum.com, which you can get to from the Skeptiko website which is at SKEPTIKO.com, or you can connect with me on Facebook, drop me an email, or leave a comment right there after the show notes. Well that’s gonna do it for this episode of Skeptiko. I do have several interesting episodes coming up. They’re there, they’re waiting, I hope my guests aren’t gonna be too frustrated at the delay that I’m experiencing between when I’m doing these interviews and when I’m getting them out. But I don’t know, it’s just part of the process I guess. I’ll try and do better, but I get anxious. I find people that I really want to talk to, then I’m excited to, then I call them up and do these interviews. A lot of the time I realize, “Oh my gosh, I got a few more of them I could really get out.” But that’s part of the Skeptiko thing for me. At any rate I do appreciate you listening. 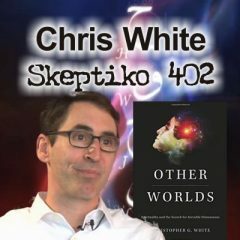 Please tell your friends about Skeptiko. Blog about us, comment about us, tell other people what’s going on here so they can share in what we’re doing. And with that, do take care and bye for now.